Oh so fun! We just finished Zecca Retreat 2018. I love this event. Best friends, great canvas, fabulous colors. What more could we want? 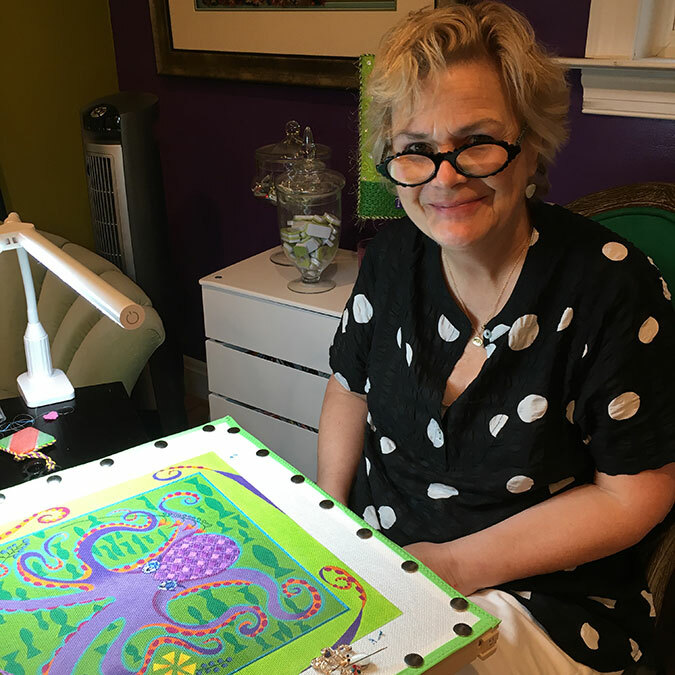 Karen, the joyous mind that is Zecca designs a brand new canvas just for us. She likes to challenge me with the subject, LOL. It is then my job to write a stitch guide that will push our boundaries and make for a fun three day class. Karen doesn’t know what I’m going to do with the canvas until she gets here. It’s a surprise for her too. I love surprises. 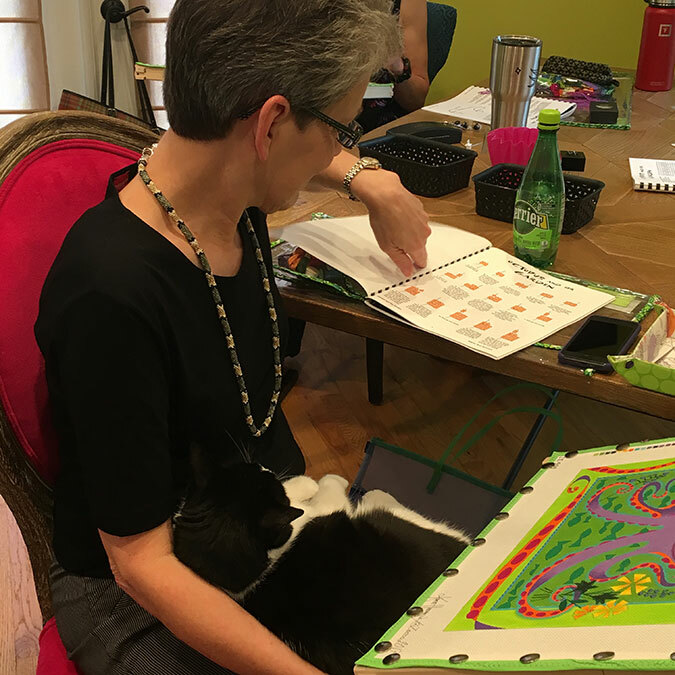 Yes, Karen, her very sweet self joins us for the stitching adventure. That’s half of the fun. Sometimes we look at the canvas and know it’s going to be the perfect stitch. Sometimes you just have to trust me that you are going to fall in love and need this one in your collection. So, without further ado, here is the Octopus in her Garden, Zecca Retreat 2018! Look at that face. How can you not love it. 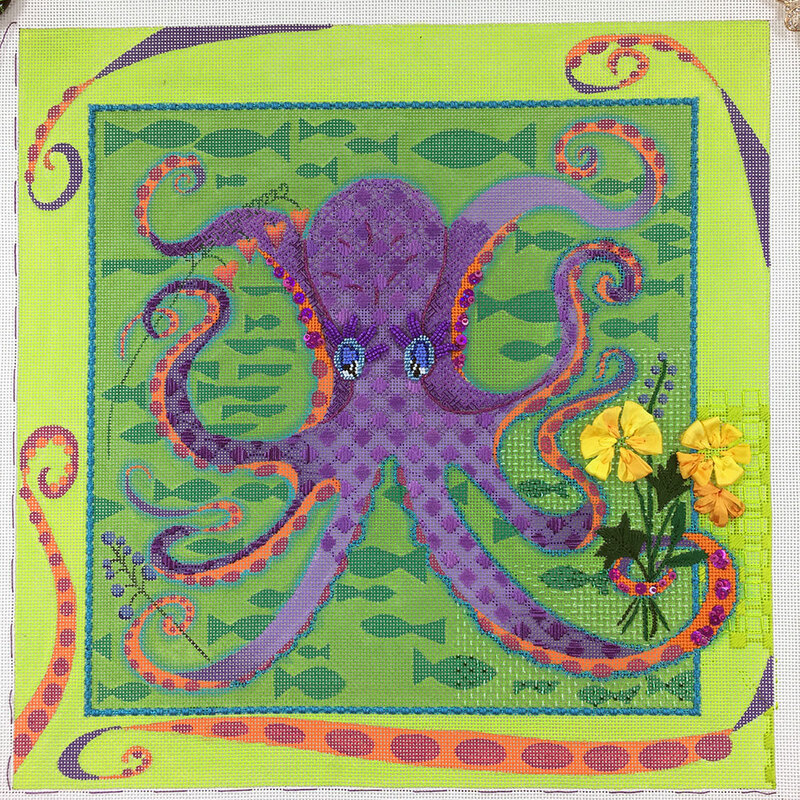 The octopus sports a three step stitch over her body. It shimmers and changes shades in the light. And those eyes!!! It is all about the eyes and the flirty eyelashes. 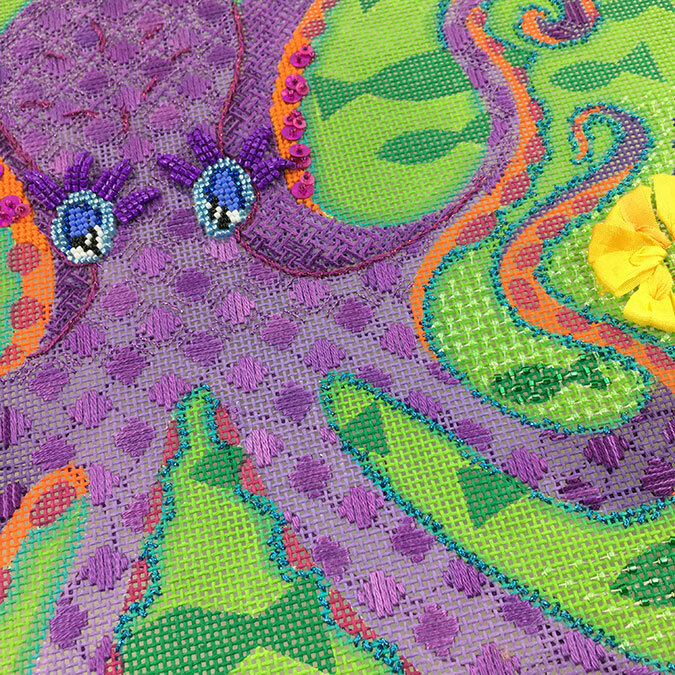 The background is completely beaded so it sparkles underwater. Her garden is silk flowers that are spectacular. 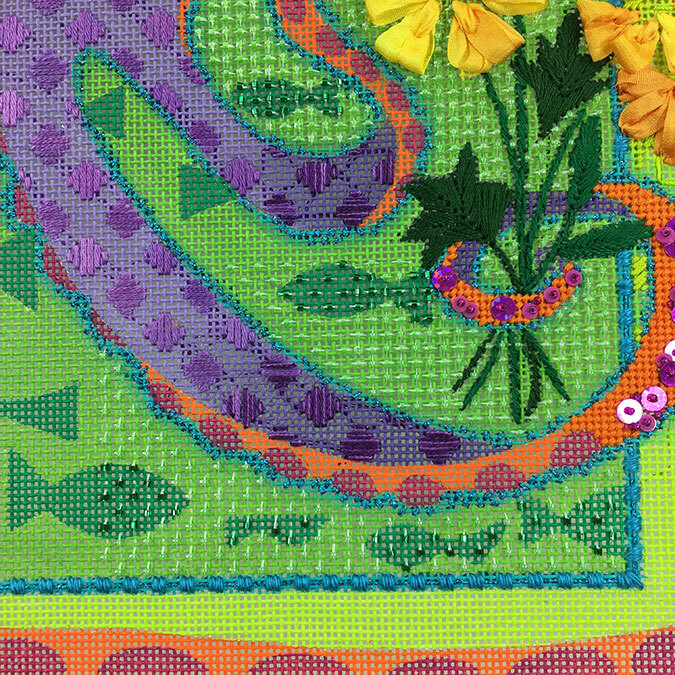 Finally there is a fun pattern in the border. 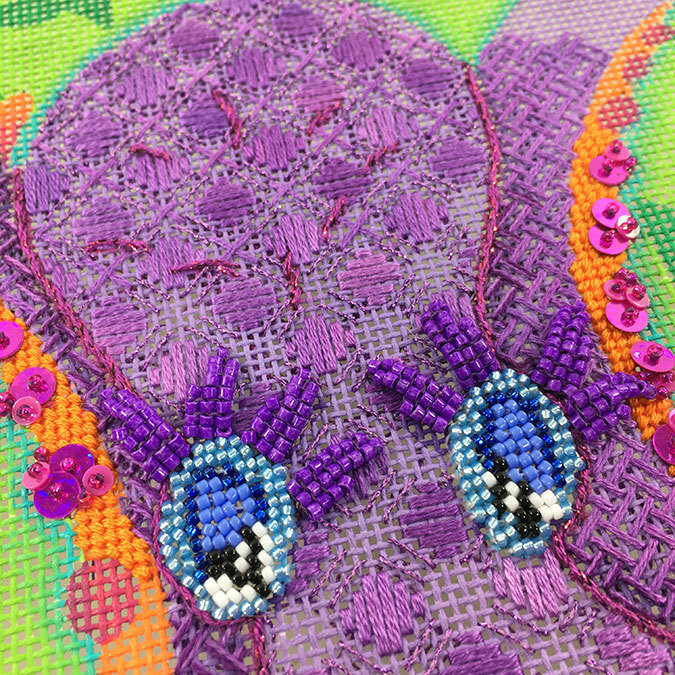 Fun stitches and great colors. It’s a piece that makes me happy. Thank you all for joining us this weekend. I do appreciate your support. Johnny was in the house causing a work stoppage or two. LOL. How can you resist this face? Next Zecca Retreat will be spring of 2020. Until then there will be plenty of other fun things planned at the Beehive of Bedecked and Beadazzled. If you are interested in a kit, we have canvases in stock and are happy to send one your way. Here’s the link. You can also call us at 410.296.0405 to order. Wow. 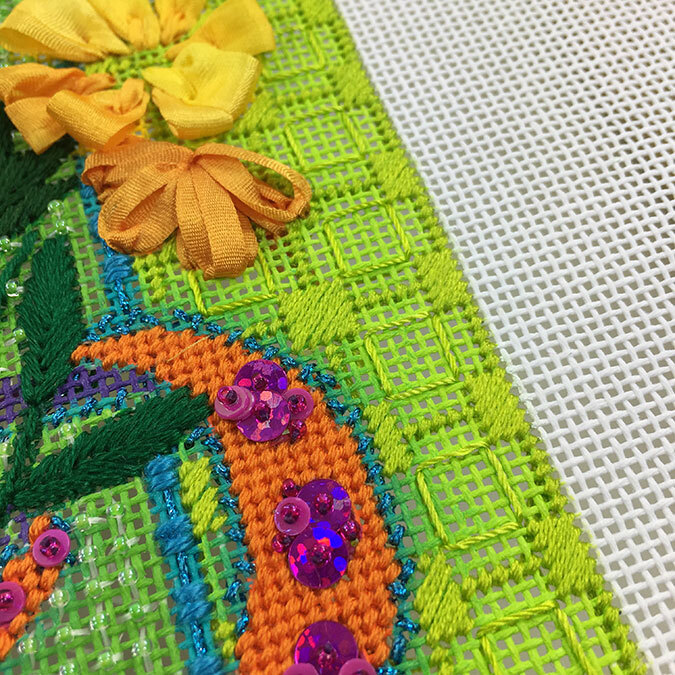 Wonderful stitches and colors!!! Its the tri-fecta!!! Love her eyes! 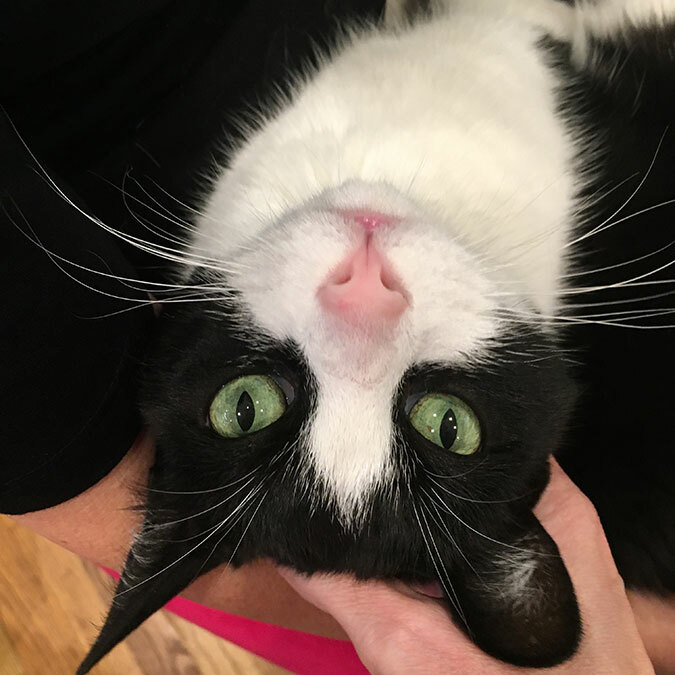 And I just want to plant a smooch on Johnny’s perfect pink nose. The canvas looks like lively,light and fresh! Johnny looks perfectly content. Johnny is wonderful! Canvas is great, too. 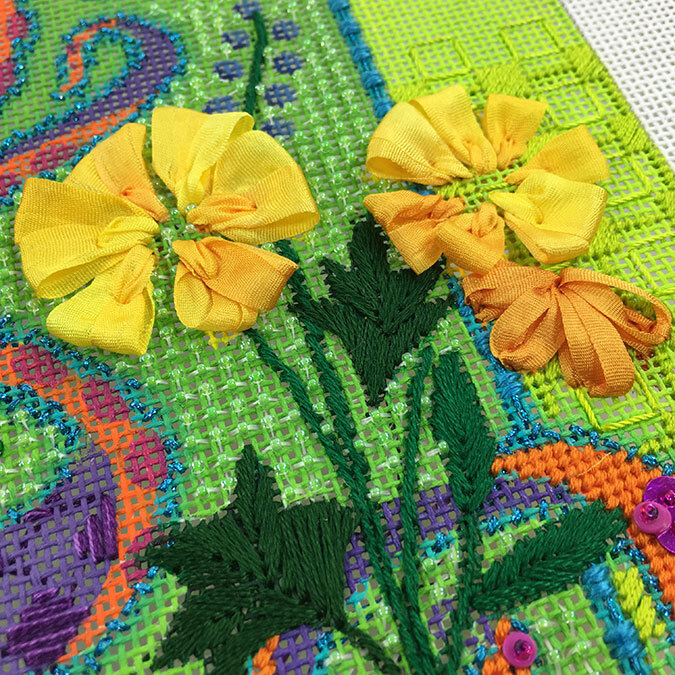 What a great canvas with creative stitches! My cat, Louie, looks much like Johnny. He also causes work stoppages by climbing right on my chest in between my face and my stitching! Ugh! Work stoppages are needed LOL. Hugs to Louie.